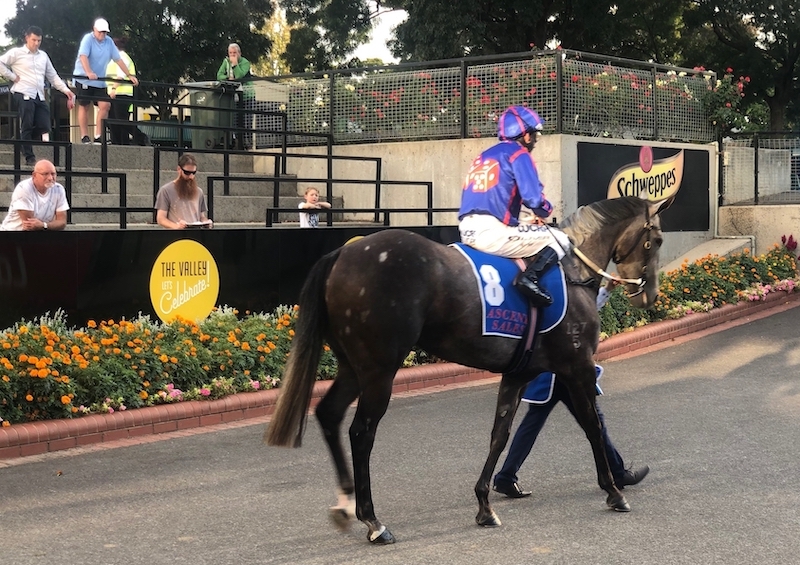 It was a night of ups and downs at The Valley last night with some mixed results for the RTD team. The night got off to a flyer with Anjana winning impressively in the 3YO 1200m Vobis race. It was a hot pace up front and Damien Oliver let her find her feet early. Coming to the turn she looked to be in trouble for a few strides as she wobbled a bit around the corner. Once she straightened though she put them away very quickly and won softly going to the line. We will give her a couple of days before deciding where to go next but she is improving with every run and we look foreard to her stepping out again shortly. English Gambler ran in the BM 70 2040m in race 4 and it was a forget run from the time he jumped out of the barriers. He pulled his head sideways and missed the kick and had to settle fourth instead of planning to go forward. He raced fiercely for the first 800m and fought Mark Zahra before settling along the back straight. Coming to the 600m Mark asked for an efffort and he lost his action and got on the wrong leg. Mark eased him down thinking something was worng coming into the straight. We will get him home and assess how he is in the coming days,. Clearly the horse has ability and we will need to keep trying to get him to settle and race genuinely. Stick with him! Finally, Oberland was first up off a break in the 955m in race 5. It was a race that was always going to be too short for him, but we were wrapped with the way he hit the line. He ran the fastest last 400m and 200m of the race and he is bang on track for the Wangoom at Warrnambool in May. He will have a second up run in three weeks and go into Warrnambool third up and ready to fire.